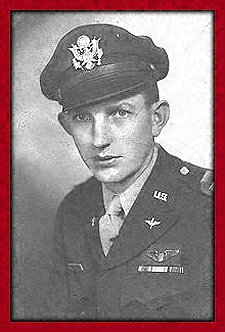 "Off We Go Into the Wild Blue Yonder"
His parents Ernest Lotan Bereman and Merle Gregg Bereman and his oldest sister Mary Catherine are no longer with us on this earth, but we know that they, as well as his sister Lenos Pauline played a big part in molding and making him into the man we all admire so much today. We thank God for placing him in our lives. Ronald served in the U.S. Air Force as a pilot during WWII where he logged over 2,000 hours in the B17. His Morse code speed was never more than 25WPM, but hey! let's not hold THAT against him in view of all of the things he did so well! He met Frances Elizabeth Jones while he was in the service and they married on May 31, 1943. They had five children,Ronald Earl, Ernest Lawrence, Shelley Lynn, Richard Lee and last but not least by far, Pamela Leah who was born on her dad's 46th birthday. As he is always quick to point out however, Pam was born on "the other side of the International Dateline" on Guam therefore though they have the same "birthdate" they don't have the same "birthday" or something like that. We think all it really means is that we can start wishing Pam a Happy Birthday a day earlier than him, so HAPPY BIRTHDAY TO PAM, TOO!!!! There are a lot of grandchildren (we lost count!) and even several great-grandchildren. Among the grandchildren there is a Ronald Earl Bereman III and among the great grandchildren Ronald Earl Bereman IV!!!! During his AF career and the years following as a controller and eventually tower Chief in the FAA, Ronald took his growing family to wonderful places like Florida, Tennessee, Oklahoma, and even Guam and Hawaii. He retired from the FAA in Hawaii then he and Frances moved back to Florida where they still live in Ft Myers. We all join together in wishing him the best birthday yet and ask that the Lord grant him many more to come!!!! Please visit 486th Bomb Group (H) to learn about the men who served our country alongside our father in the 832nd. Send Ron an email letter! UP ALL NIGHT Web Page Design. Copyright © 1999 - 2003. All rights reserved.